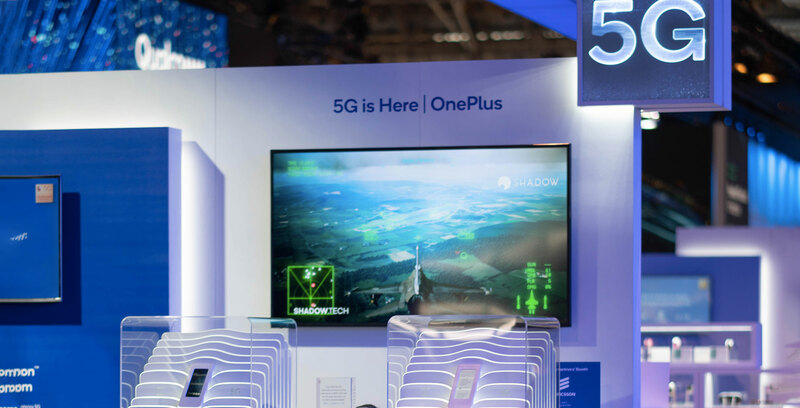 We saw 5G smartphones from various players at the MWC event, but most of u were excited for OnePlus to showcase their own 5G smartphone, well now the company has revealed their 5G phone which comes with Cloud Gaming technology and insane hardware. 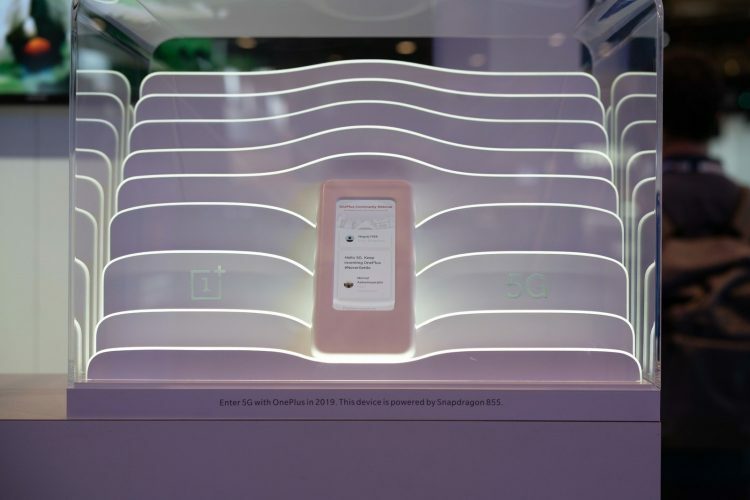 OnePlus at the event showcased the company’s first 5G smartphone at the Qualcomm booth, however, we couldn’t get a perfect look at it as the smartphone was wrapped with a protective glass box. This was probably done intentionally to hide the actual design as the company plans to reveal it late. One of the interesting features it comes with is Cloud Gaming Technology. The company showcased the demo of Cloud Gaming in person where the event attendees got a chance to play AceCombat 7 via the Xbox Controller. However, not much detail on it is available currently as it was for a limited time period. Other than this, OnePlus also said that the 5G smartphone will be priced under $1000(approx. Rs. 70,855) which is great as many other competitors are offering a 5G smartphone above $1000 expect popular Chinese maker Xiaomi. Xiaomi Mi Mix 3 is currently the cheapest 5G smartphone starting at $680(approx. Rs. 48,180) and then comes the OnePlus’s 5G phone. Stay Tuned for more updates on OnePlus 5G smartphone and also Subscribe to Our YouTube Channel Gadget Gig For Latest News, Reviews, Unboxing and Tips/Tricks.